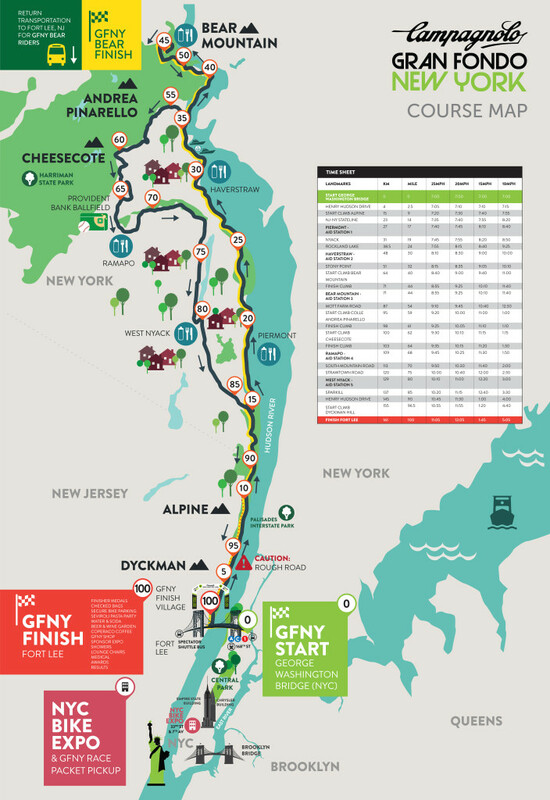 The 2015 Gran Fondo New York offers riders a challenging 100 mile route with 8,500 feet of climbing, including a climb up Bear Mountain. 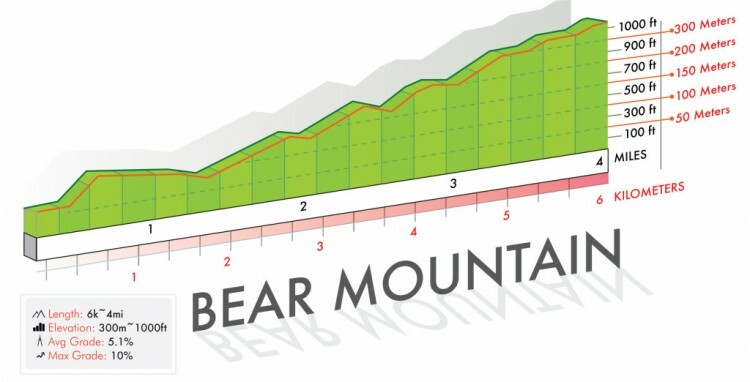 The ride is in the style of European cyclosportives, which is not a race, but includes a number of timed climbs and prizes for the fastest cyclists. 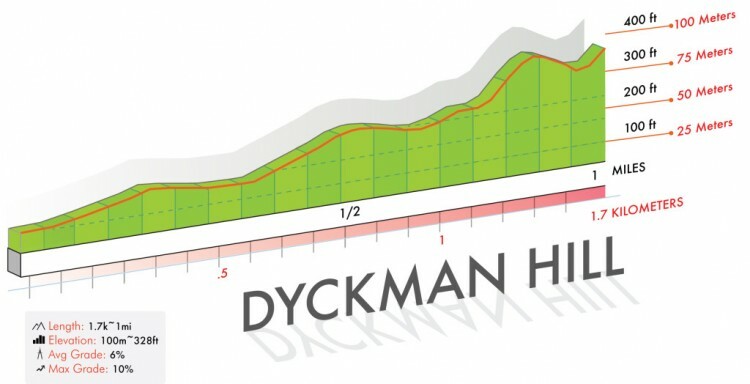 The 2015 Gran Fondo New York will be held on Sunday, May 17th 2015. GFNY 100: 100 miles/161k || elevation approx. 8,500ft/2,400m –> Map details and cue sheet are HERE. GFNY BEAR 50: 50 miles/80k || elevation approx. 3,000ft/900m –> Map details and cue sheet are HERE.